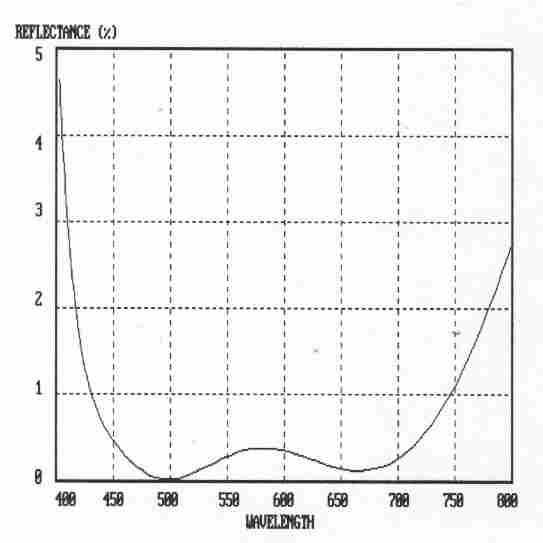 Anti-Reflecting Thin Film Coating: Calculated Curve. 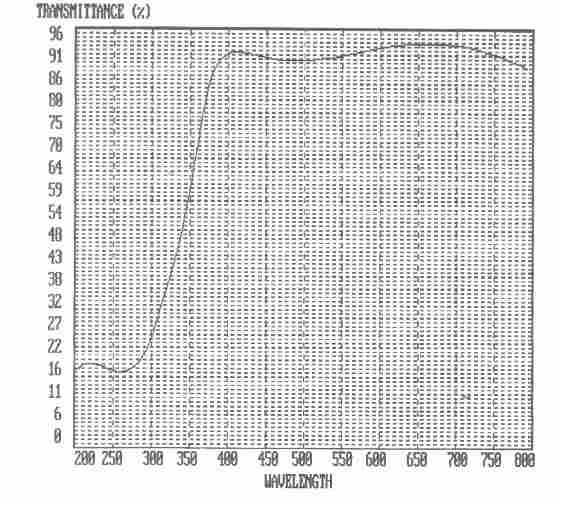 Anti-Reflecting Thin Film Coating by Sol-Gel: Light Transmittance Measured Curve. 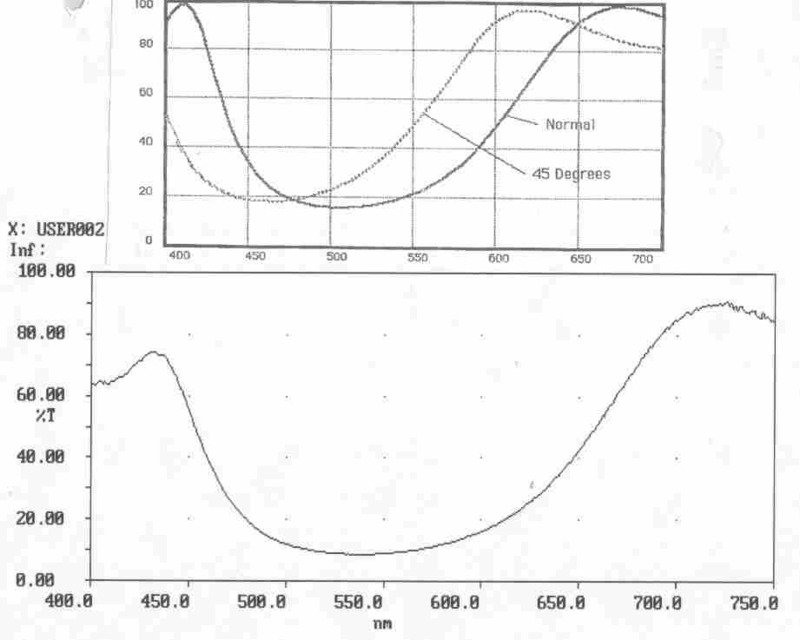 UV Blocking Thin Film Coating: Calculated Curve. 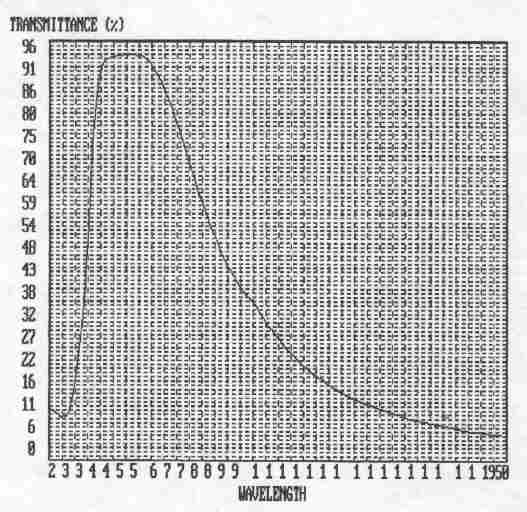 Dielectric (Thin Film) Mirror: Calculated (upper) Curve vs. 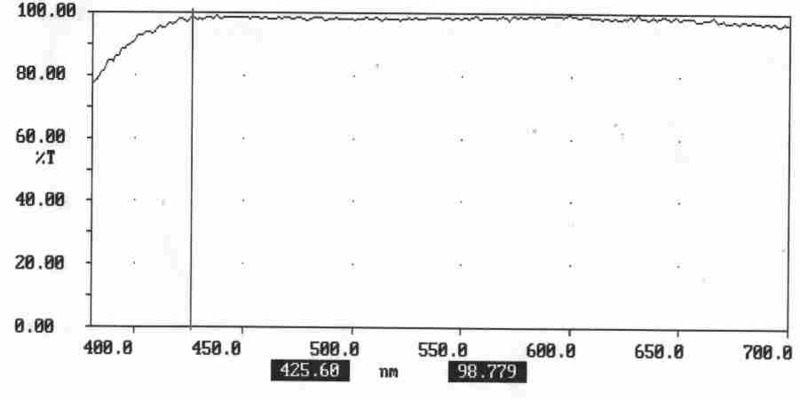 Measured one Performed by Sol-Gel (lower). 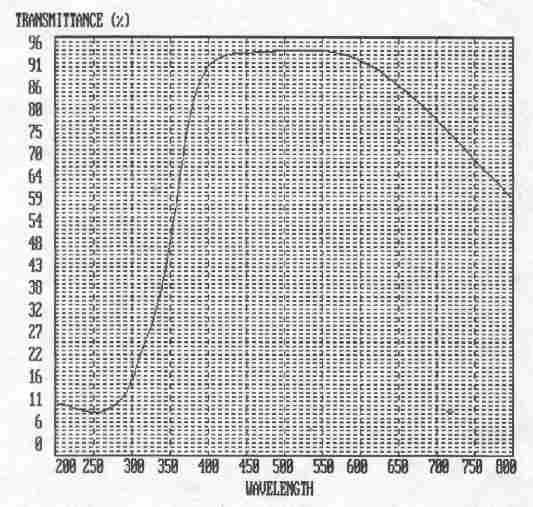 Infra-Red (Heat) Reflective Thin Film Coating (calculated curves). 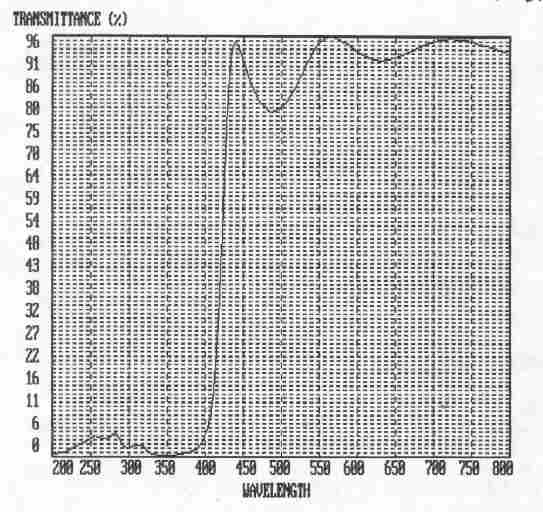 Visible Range of Lightwaves for above shown Infra-Red (Heat) Reflective Thin Film Coatings (calculated curves). 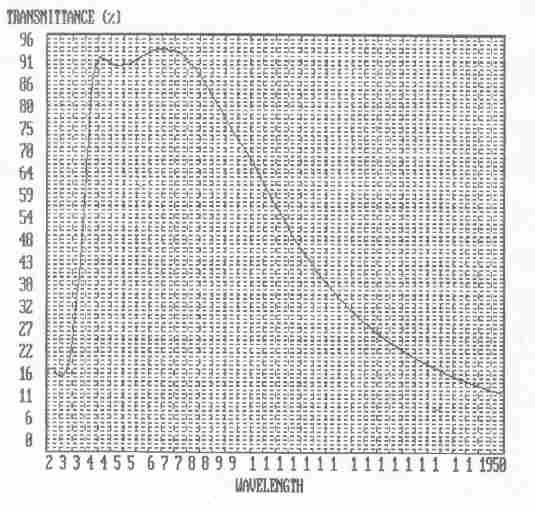 As low as 20 Volts driving voltage is achievable for PDLC. E-mail us by clicking here and ultimately buy your own - absolutely wonderful - piece of (intellectual) property including the one not listed above but certainly making life better.